With 84% of the British population drinking tea and herbal infusions every day - that's over 165 million cups of tea consumed every day - it is no wonder that someone has come up with an alcoholic version ... and I was lucky enough to be invited along to the launch last month. 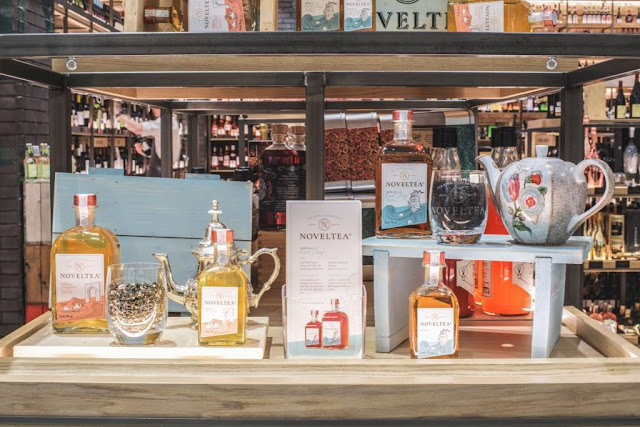 The launch took place in Fenwick Newcastle, who are also the first retailer to stock NOVELTEA in their flagship store in intu Eldon Square. I love an Espresso Martini so after reading about this new product, I was intrigued as to what alcoholic tea would actually taste like. It's a pretty unique drink, where tea has been infused with gin and rum. 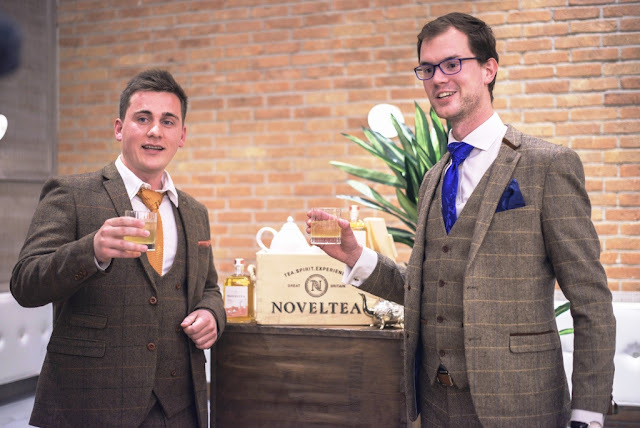 It has been created by Vincent Efferoth and Lukas Passia, originally from Germany, with the drinks being inspired by their experience of British culture - and Geordie tastes - from living in the UK. The British fascination for craft beers and spirits, as well as deeply rooted afternoon tea traditions, in particular, have inspired their first products. 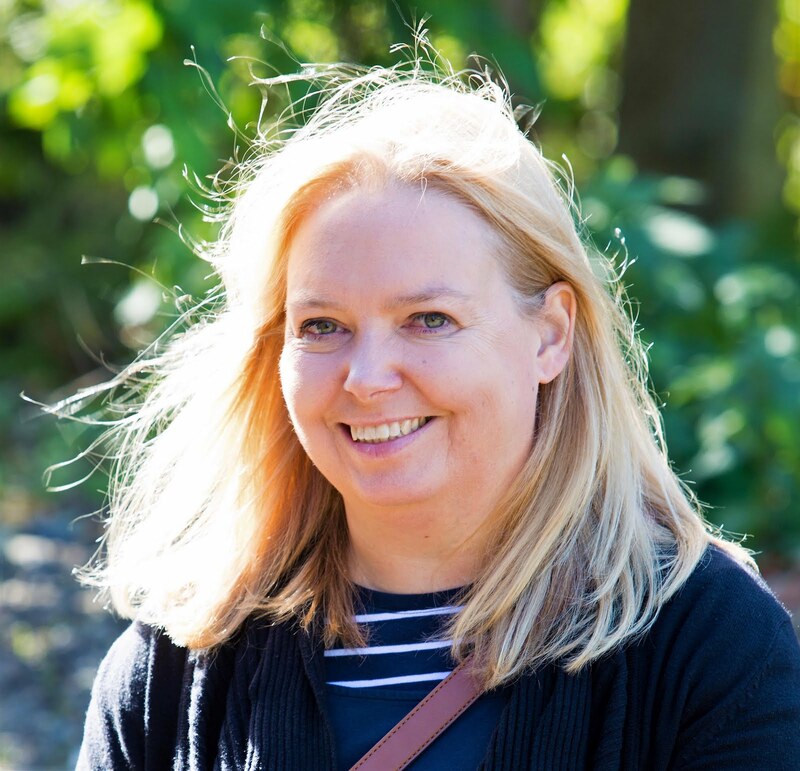 I have recently written about a pub crawl through the Ouseburn Valley in Newcastle - renowned for its beers and pubs and also tested out an Afternoon Tea with an American Twist already on the blog so new drinks inspired by these two themes was definitely of interest. 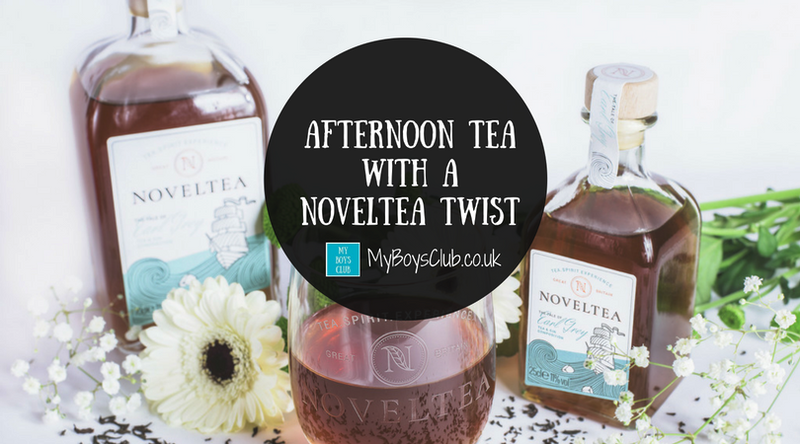 Afternoon tea was a completely new experience for the pair and after understanding the popularity of Champagne and Prosecco as accompaniments for afternoon tea, they were surprised that there were no alcoholic tea blends currently on the market. Then innovative new alcoholic drink has been created by infusing cold-brewed tea with a matching spirit of either gin or rum; ideal for enjoying with afternoon tea or as a gin and tonic replacement in the early evenings. There are two distinct flavours. Many years ago breathtaking tea races shaped not only the life of Sir Charles Grey, but also the whole British tea culture of today. 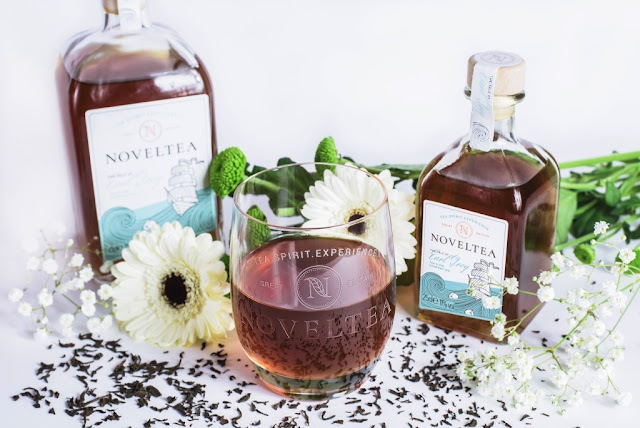 With The Tale of Earl Grey, NOVELTEA immerses you in the fabulous history of the most famous tea of all! 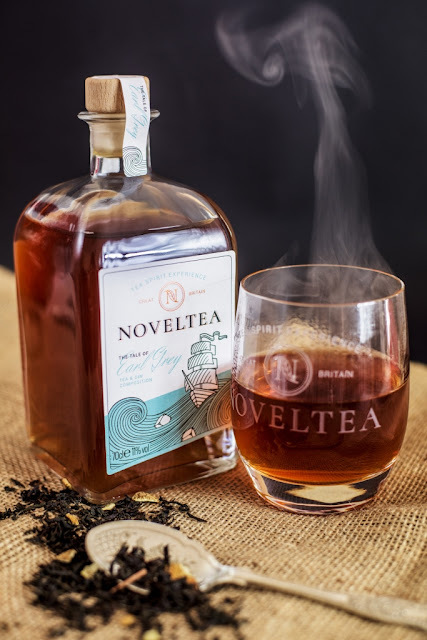 The Tale of Earl Grey, an infusion of Earl Grey tea with gin and botanicals to deliver a smooth, rich taste. 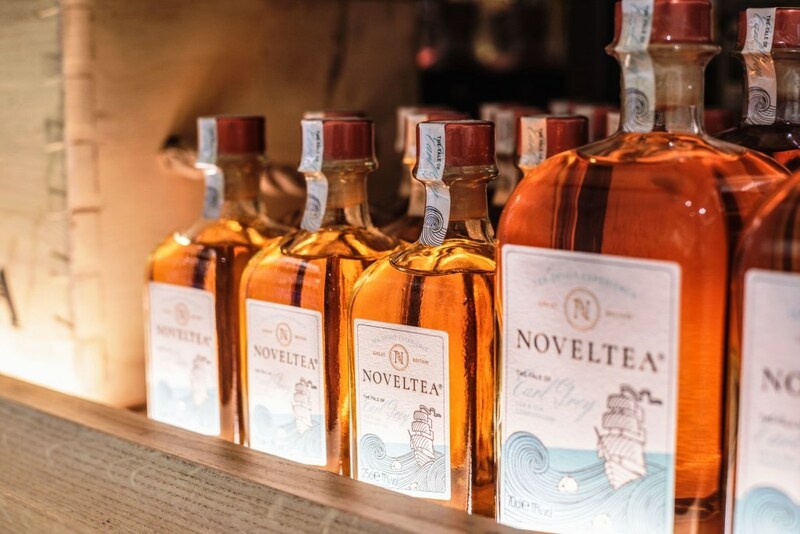 This is produced in small batches from black tea, juniper and gin - served chilled over rocks. Think of scents of sun-dried herbs and the ceremonial pouring from silver teapots that make the city of Tangier a place of living tea culture. 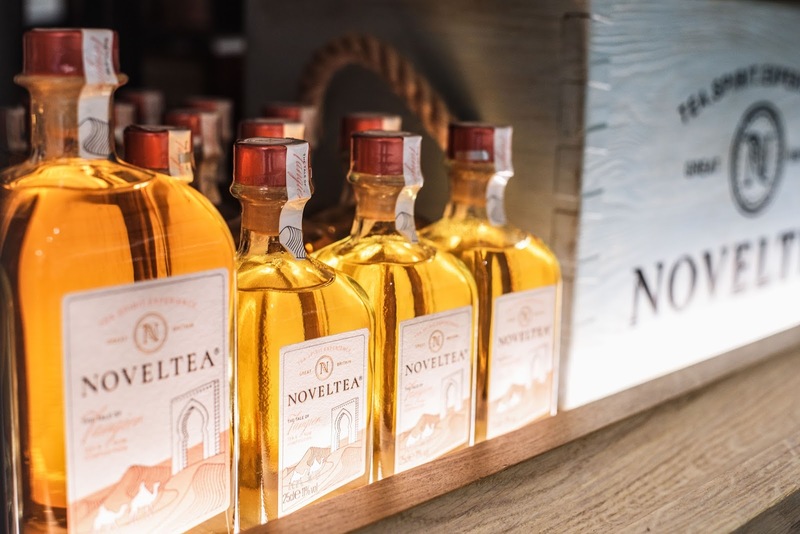 That is what NOVELTEA is trying to recreate - the distinctive and exciting taste of true Moroccan generosity. 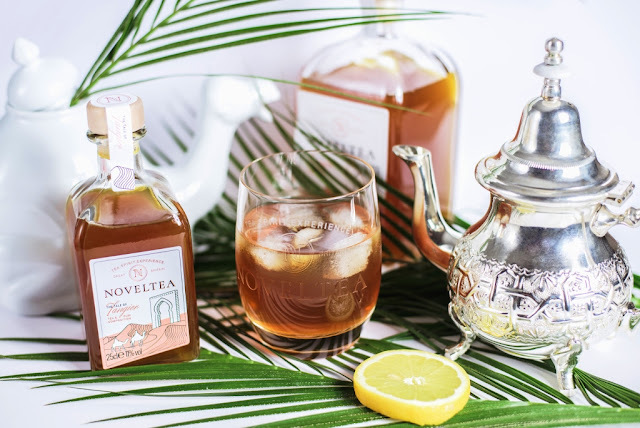 The Tale of Tangier, an infusion of Moroccan green mint tea with Caribbean rum. This is produced in small batches from Green tea, spearmint, dried lemongrass, dried apple, blackberry leaves and rum - served chilled over rocks. After sampling both varieties, I have to say that as a big fan of Earl Grey tea my favourite was The Tale of Earl Grey. I can see myself enjoying a glass sitting in the garden as the sun goes down this summer - here's hoping anyway. The recommended selling price for both is £9.95 for 25cl and £24.95 for 70cl. 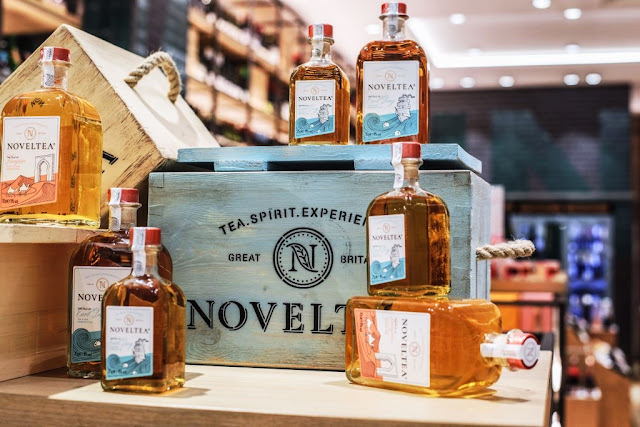 (11% abv), and are available to buy at Fenwick Newcastle, with plans to distribute NOVELTEA to 4 and 5-star hotels, as well as premium bars, restaurants and other artisan food outlets in the future. ** Photographs by Marion Botella. I love tea, but I don't really drink. A friend of mine loves tea and drinks gin like it's going out of fashion I'll have to send her the link! This sounds really interesting! I've shared with my sister who I think would love this. I live in Sweden and most Swedes are surprised when I say that tea isn't my first choice in a warm tipple (I am a coffee girl!). I love this idea though and the name? Pat on the back to the clever person who came up with that! Would be very interested in trying this out! Am I understanding this right? Alcoholic tea? Sounds fabulous! Ohh this sounds awesome, and my mum would love the Earl Grey one! I love tea but I am more of a coffee person. I would love to taste these. What a great concept! Would absolutely love to try all of them. Hopefully it will be stocked somewhere near you. I love tea and I love gin but I can't imagine the two together!! And with the amount of tea I drink I'll be on the floor!! I'm sure it'll be lovely for an afternoon treat!